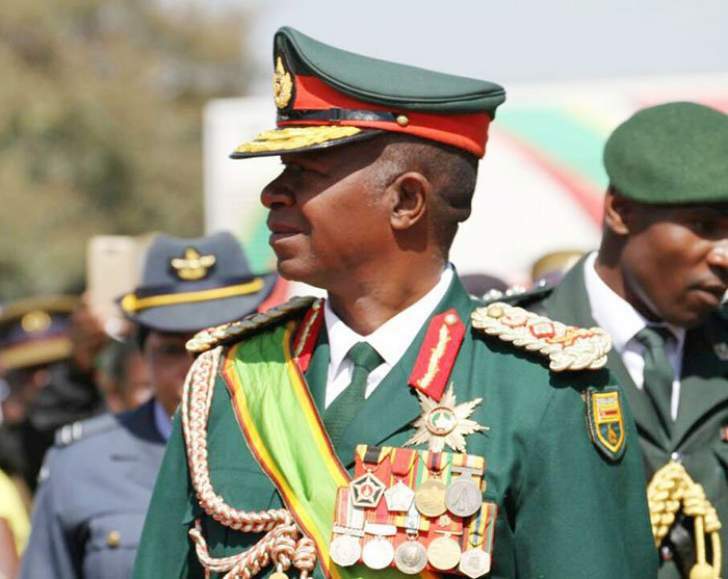 President Mugabe this afternoon leads the nation in celebrating the country's 37th Heroes Day anniversary, remembering supreme sacrifices made by gallant sons and daughters of Zimbabwe who fought to liberate the country from colonial rule. 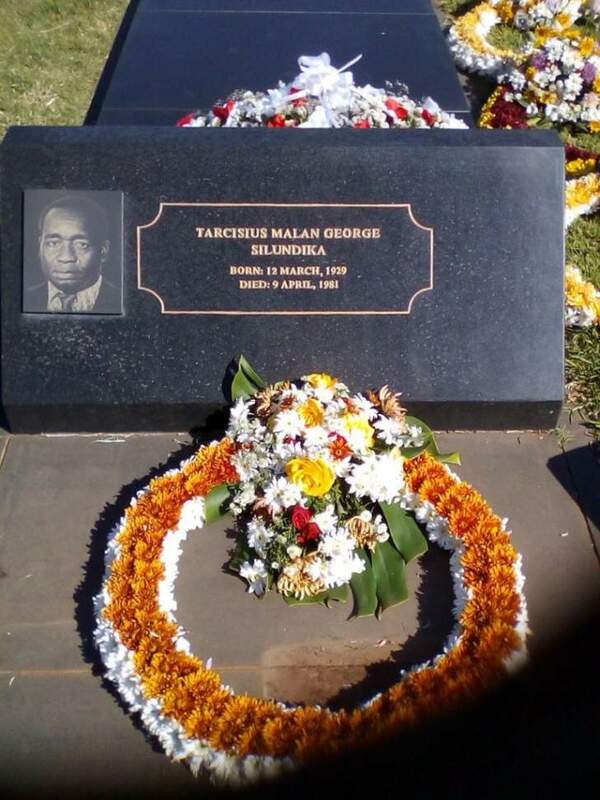 We give you updates of the proceedings, live from the National Heroes Acre in Harare. Ministers of State will lead proceedings in each province and deliver the keynote speech on behalf of President Mugabe. 12:59 - As the gospel choir finishes, the ZRP choir takes over. The ZRP choir master drives the crowd crazy with his choreographic skills on stage. 12:56 - A gospel choir takes to the stage and sings a Ndebele rendition, Thixo Olothando (God of love). 12:50 - "Let us always remember we are the children of the struggle by staying United. As he concludes his address, President Mugabe counsels that the nation should always be guided by the principle the late VP John Landa Nkomo left with us. The principle is that PEACE BEGINS WITH ME, PEACE BEGINS WITH YOU, PEACE BEGINS WITH ALL OF US. 12:47 - "As we organise ourselves in government, some elements are getting out of control. We have a bad incident of the members of the army who went into the streets to beat up police. 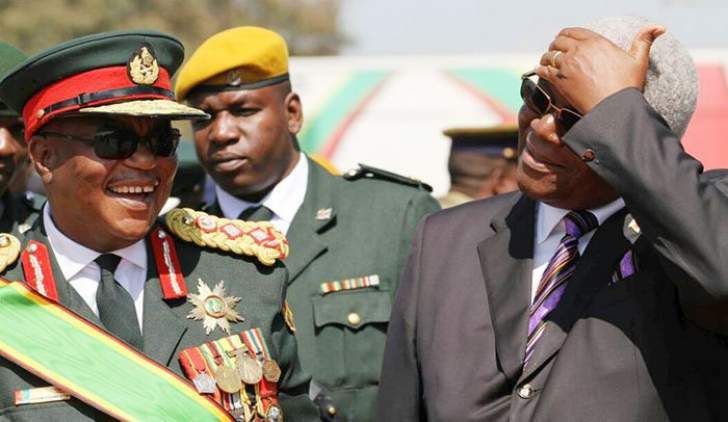 I have discussed the incident with the commanders," says President Mugabe. He says the army and the police serve one purpose and queries how they would handle the populace when they are at Cross purposes. 12:43 - President Mugabe says this morning, he learnt of the death of Minister Mahofa who was a member of the Zanu PF Politburo. President Mugabe has also urged Zimbabweans to remain peaceful as "the days towards our harmonised elections are drawing closer and closer." "We need peace. Peace has to be the guiding principle. Let us thank our security forces for the protection they have given us." 12:37 - "However, there are some people who use the Internet for selfish reasons. The opposition and our detractors post lies about us. You then hear them saying bad things about us. Total lies. They would have read on the Internet. 12:35 - President Mugabe says there is need for the country to have its own engineers who can spearhead development in ways that can make Zimbabwe catch up with the rest of the world. He says technology can be used for information gathering as well as to enhance learning at schools. 12:31 - "The freedom we have now, is the freedom for all. Let us use it to promote all of us in the country. Our institutions of development should work in unison. Our schools should work in unison. All children must go to school. That is what we agreed at independence. They must go to the highest level if their capabilities. 12:27 - "As we today gather at the national shrine, and shrines elsewhere, we would want to do so in a special way. I urge everyone to pause and reflect because if you saw what was happening during the colonialists era, you would feel pity for the blacks. They were not allowed to go into stores like Barbours. They were also restricted into getting to places like Highlands. Air Force of Zimbabwe Commander Air Marshal Perrence Shiri (left) chats with Zimbabwe National Army Commander Lieutenant-General Philip Valerio Sibanda "We were only allowed to stay in areas like Mbare and Highfields. President Mugabe says places like Highfields were also reserved for government employees but the rest were subjected to unpleasant conditions. His Excellency says the cabinet is divided over the issue of death sentence. "Some are saying let us forgive them, but some are strongly opposed to forgiving these criminals arguing that they are ruthless." President Mugabe says local prisons have plenty of people who were sentenced to death but the job for a hangman has not find any takers for a long time. "If there are any who are interested in the job, please apply. But the ruthless killing was only being done by the white men. 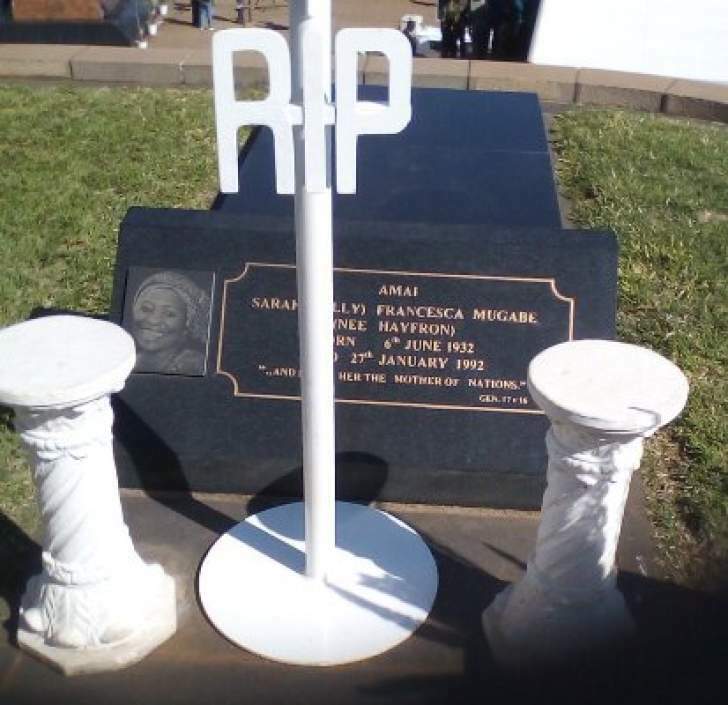 We as blacks are finding it hard to execute each other." 12:14 - President Mugabe says at the end of the struggle, Zimbabweans reconciled with the colonisers and even South Africa copied the model at their independence. 12:04 - President Mugabe has urged unity among Zimbabweans. "Unity, means we have to share the same ideology. But there are some who are still crawling by night going to Britain and her allies pleading for sanctions." "We are appealing to those individuals to drop that kind of behaviour. Zimbabwe belongs to all of us. "We say Zimbabwe for Zimbabweans. Zimbabwe belongs to all of us. We say Zimbabwe for Zimbabweans. 11:59 - President Mugabe says it is not true that Zimbabwe chased away white settlers saying only land was repossessed. "We did not touch any industry. They fled on their own," he says. 11:58 - "Let us keep this land to ourselves and not bring back the whites because they are already talking, asking why we took back the land if we are failing to utilize it. "There are some who are coming back clandestinely saying we left farming equipment and are entering into agreements with black farmers, we do not want that. 11:55 - President Mugabe has urged Zimbabweans to jealously guard the gains of the liberation struggle of which land is one of them. 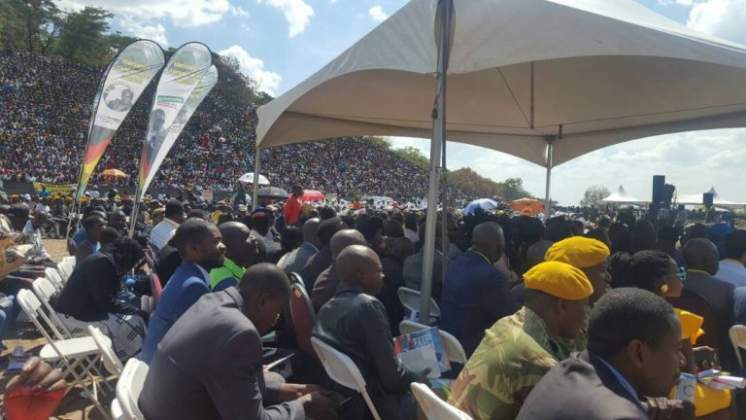 11:49 - Referring to Father Mukonori's Bible reading which spoke of a woman who committed adultery, President Mugabe jokingly asks what of the man with whom the woman committed adultery with, and the crowd bursts in laughter. 11:46 - "Some of them were so young that we had to take them to school. We had to find out from among ourselves who the teachers were. We set up schools for them. We also needed doctors but they were not there. They later came after finishing training, the likes of Dr Sekeramayi, he says. 11:43 - President Mugabe says the nation shall certainly remember thousands who perished in the battle fronts and those massacred at Nyadzonia, Tembwe Freedom and Chimoio bases. "As Father Mukonori eluded, even the masses endured torture and harassment at the hands of the colonialists", President Mugabe says. He says, fed up with the inhumane treatment they were subjected to by the settlers, a lot of young boys and girls skipped the border to fight for their independence. 11:40- "This national shrine and many others dotted across and beyond our country, are our own way of institutionalisation our heroes' lives. Beyond time and successive generations. In celebrating them, we affirm the ideals for which they laid down their lives. "While, as a nation, every year we set aside the second Monday in August to commemorate and celebrate the lives of our heroes, we should in fact remember them everyday of our lives. 11:38 - "These men and women should live forever in our memories and across generations. "We are gathered here to pay tribute to all our Heroes, where ever they are. On this solemn occasion, we remember the men and women who sacrificed for our freedom and independence," says President Mugabe. 11:36 - President Mugabe takes to the podium and starts with salutations. He recognises the presence of Service Chiefs, mentioning them all by name. He welcomes all gathered here to commemorate the sacrifices made by fallen and living Heroes who delivered independence. 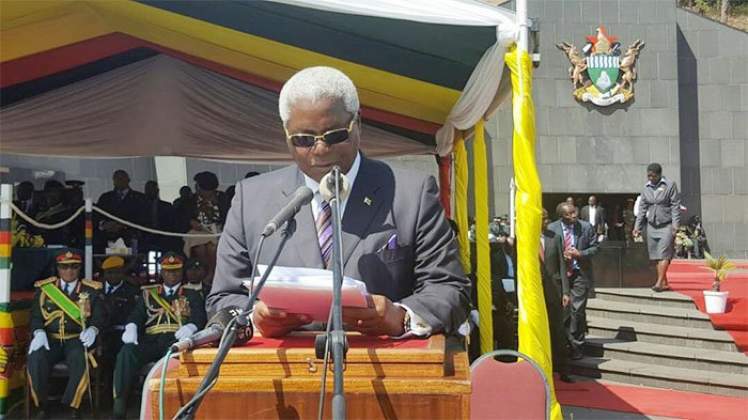 11:35 - The Director of Ceremonies for the day is Minister of Home Affairs Dr Ignatius Chombo and he has just invited The Head of State and Government, President Mugabe to deliver his keynote speech. 11:23 - This year's Heroes Day celebrations are happening at a time when tragedy struck the country this morning following the sudden death of Shuvai Mahofa, a respected war collaborator who was also Minister of State for Masvingo Provincial Affairs. 11:21 - A minister of religion has just given today's Bible reading to the gathering. 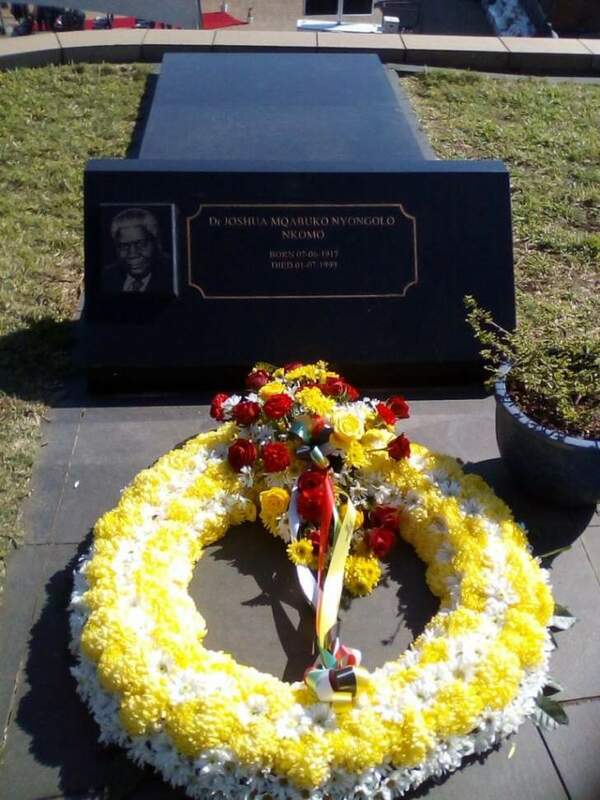 11:19 - Some of the heroes interred here at the national shrine include Comrades Leopold Takawira, Herbert Chitepo, Josiah Tongogara, Robson Manyika, Joshua Nkomo, Joseph Msika, Masotsha Ndlovu, Zororo Duri, Albert Nxele, George Nyandoro, William Ndangana, Sydney Malinga among others. 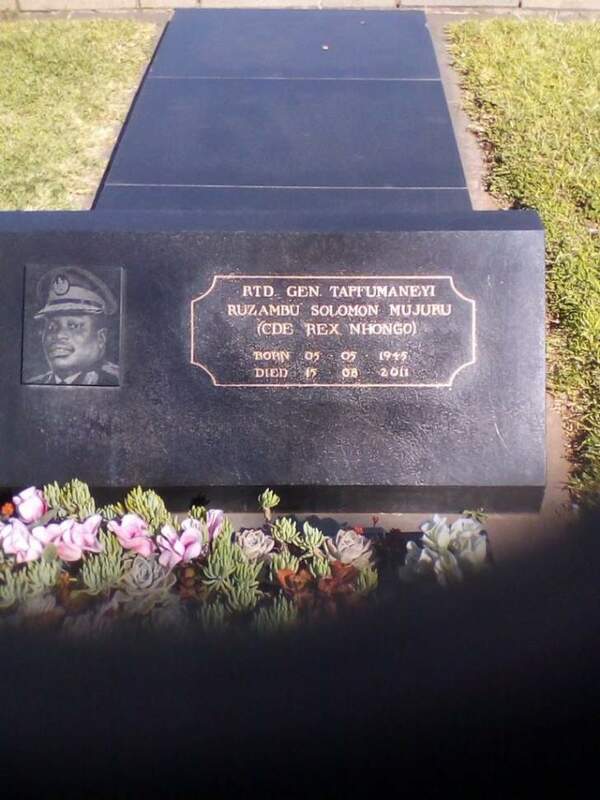 11:14- According to the National Heroes Act, designation of national heroes is done by the President "where the President considers that any deceased person who was a citizen of Zimbabwe has deserved well of his country on account of outstanding, distinctive and distinguished service." 11:10 - Two gun salutes in honour of the fallen Heroes. Towering high at the national shrine is the tomb of the unknown soldier which signifies tens of thousands of daughters and sons of the country who perished in the struggle and were never accorded decent burials due to the insensitivity of the colonialists. 11:09 - The National Heroes shrine is a revered symbol of bravery and selflesness exuded by young boys and girls who participated in the liberation and development of the country. 11:07 - President Mugabe is now inspecting the guard of honour mounted by the Presidential Guard. 11:05- President Mugabe arrives at the national shrine amid wild cheers and the crowd shouts Gushungo! Gushungo! As the national Anthem is being sung, eight helicopters fly past in two diamond shapes. 11:00 - Vice President Phelekezela Mphoko has arrived. His colleague, Vice President Emmerson Mnangagwa is not able to attend today's function due to health reasons. 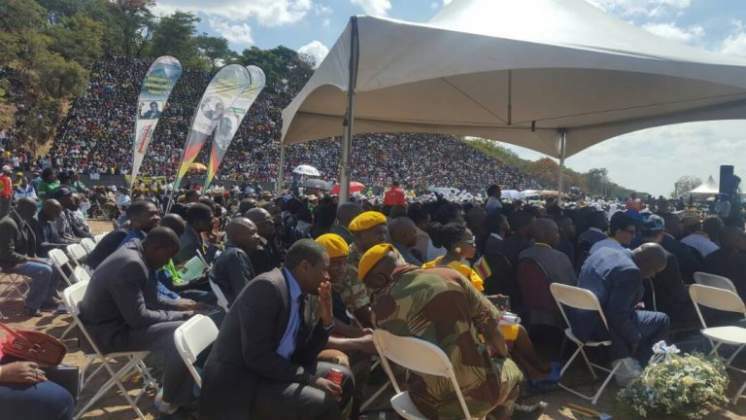 10:56 - Zimbabweans from all walks of life have thronged the National Heroes Acre to celebrate and honour the sacrifices made by the living and fallen Heroes of the liberation struggle. Senior Government officials and service chiefs have already arrived here and are preparing for the grand arrival of President Mugabe.